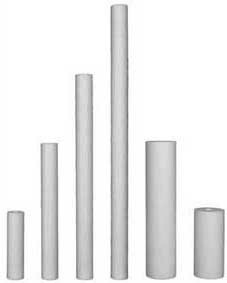 Depth filters are the variety of filters that use a porous filtration medium to retain particles throughout the medium, rather than just on the surface of the medium. 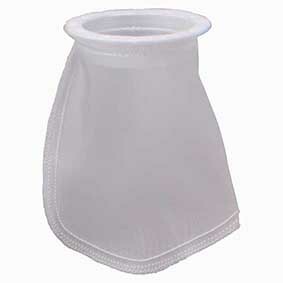 Pleated filters are widely used as effective surface filtration due to their excellent flow rates and high efficiency. Removal of chlorine, volatile organic compounds (VOCs), chlorinated hydrocarbons and organic impurities. Filter Housings are available in a wide range of sizes and materials to cover for various application requirements of flow, temperature and cartridge type. Used to reduce hardness, ions, salts, heavy metals, nitrates and iron. When correctly specified can give a superior, effective and economic performance compared to cartridge filtration. The Pentair X-Flow Medical ultra-fine filter which retains any bacteria or fungi present in the water. TheVuAqua multi-jet meter is suitable for a variety of metering applications including general purpose, sub-tenant and commercial metering tasks. 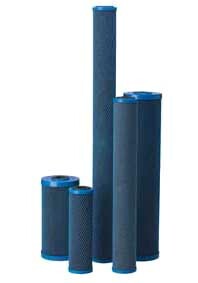 CINTROPUR® offers a wide range of mechanical filters designed for filtering clear and slightly contaminated water. A reverse osmosis membrane is a highly effective purification method to remove salts and ions to produce pure water. Reverse Osmosis is a highly efficient way of purifying water. We offer a range of permeate tanks in sizes up to 4,000 liters. Works using centrifugal force to drive heavier solid particles down to the bottom of the vessel to a collection area. NeutrAcalC is a scale inhibiting water treatment technology. We have a range of water test kits and meters. Water softening is the removal of hardness from your water supply through a process of ion-exchange. Fleck valves cover a wide range of applications, either softening or filtration, residential, commercial or industrial, hot or cold water. Composed of a broad range of multiport composite valves with service flow rates up to 35 m³/h and advanced professional controllers. The Testomat® is a monitoring device for water hardness. We stock a wide range of Purolite, DOW and SPECTRUM resins. Magnetic bag filter housing are devices for clarifying water in closed circuits for hot water in heating systems and also cooling and ice water circuits.